2 My father is taller than my mother. 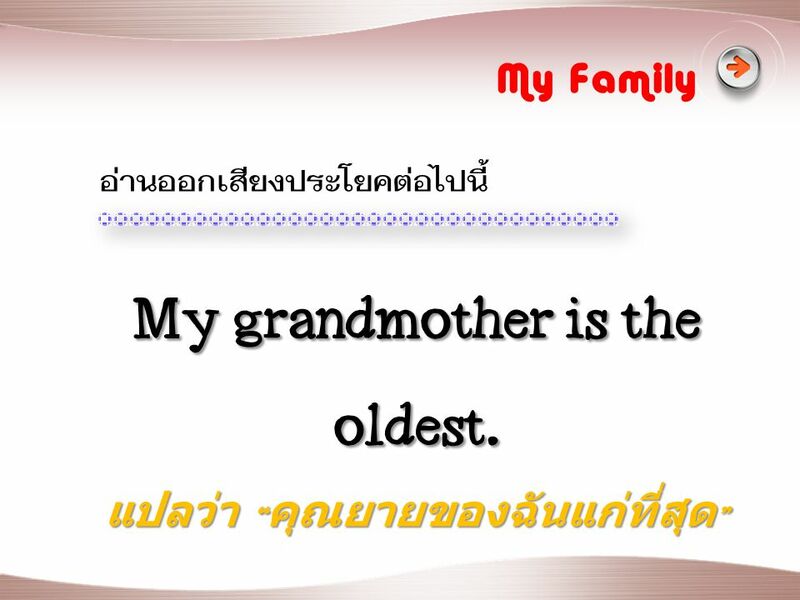 ดาวน์โหลด ppt My Family Manoonsak Glinhom. Family Tree Produced by Miss Pornpimol Khruawan. In the Classroom Manoonsak Glinhom. Do you like hip-hop music?